Gruezi* World! Awesome Foundation Zurich has just gone live. 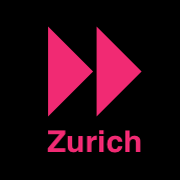 Today, we are proud to announce the launch of the Awesome chapter Zurich – only the second one on the European continent (the UK doesn’t count, right?). We have no other motivation than the fact that we see a lot of undiscovered awesomeness in Switzerland. Things are truly bubbling here and it is about time some of the things that are going down in the land of chocolate and cheese get noticed, acknowledged, hellyeah’d and awesomeized. That’s what we are here for. We are ten people from all walks of life aiming to come together four times a year to award 1000 CHF to awesome project ideas, that they may see the light of day. We are accepting first application as of now (we try to communicate in German, but English is no problem either). *Gruezi is how we say “Hello” around here.